Élan Lawn Brand Soared to New Heights! 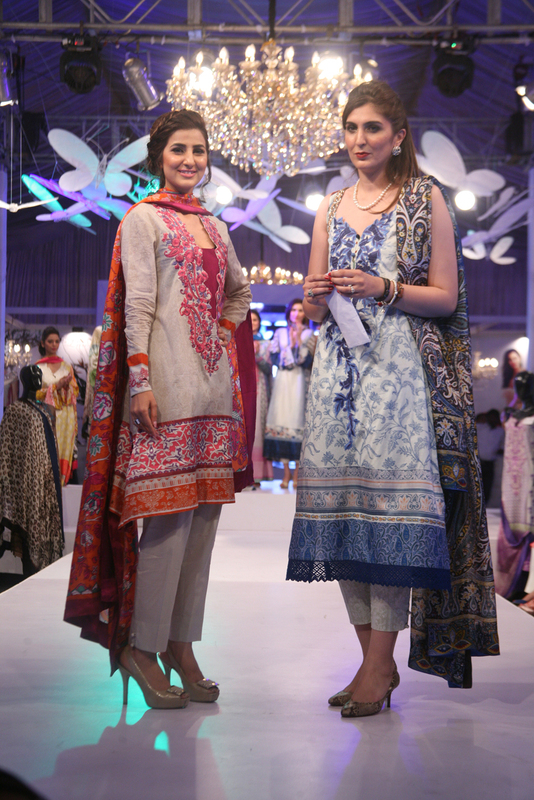 Karachi, March 15, 2013: Élan lawn launch by Khadijah Shah in collaboration with Hussein Mills Limited was a tremendous success last evening! The high end fashion met couture infused with timeless sophistication and glamour. Throngs of people purchased Élan lawn prints which shortly went out of stock. The collection offers fifteen designs in two color ways each, giving our patrons maximum choice. The color palette is diverse and on trend for spring/summer 2013 showcasing a variety of hues such as lush greens and blues, berry pinks and sunshine yellows. “An exquisite fusion of nature and luxury, the fifteen prints comprises of Crown Jewels, Opium Indulgence, Spice Route, Belle de Jour, Bleu de chine, Shalimar, Princess Topkapi, Gypsy Love, Persian Dreams and more” said Khadijah Shah, Creative Director at Élan. “We are proud to announce an exciting addition to our brand in form of spring / summer lawn collection, 2013. Venturing into lawn this year was a tremendous experience for me. Our endeavors have been directed towards producing high quality products which reflects in our lawn collection” said Hussein Fazal, the CEO of Hussein Mills Limited. The launch event was organized by Catwalk Productions and PR handled by Catalyst PR & Marketing. The alluring evening was attended by top notch designers, fashionistas, and celebrities such as Shehla Chatoor, Mahin Hussain, Sherezad Rahimtoola, Zahir Rahimtoola, Ayesha Umer, Nadir Feroz, Maha Burney, Zurain Imam, Sanam Chaudhri, Umair Tabani, Mohsin Feroz & Ayla Raza.